As transition strategies take shape, it’s becoming clear the initiative’s impact goes far beyond the walls of HIM. Much of the buzz about ICD-10 readiness has been focused on strategies to address obvious needs: training HIM professionals and other coding departments and getting physician documentation up to speed to comply with the need for greater specificity. And that’s a good start. But what many healthcare professionals and organizations are discovering as they begin their transformation is that ICD-10’s impact trickles down to nearly every area of hospital operations. “Any facility or chain that has started the planning process has started to look holistically across departments,” says John Wollman, executive vice president of healthcare for HighPoint Solutions, a Pennsylvania-based business consulting and technology solution company. Zeisset adds that the consequences for not being prepared across the entire organization are not minor in scope. Facilities that are not ready to meet the challenge head-on can expect increased claims rejections and denials, increased delays in processing authorizations and reimbursement claims, improper claims, payment coding backlogs, compliance issues, and end decisions based on inaccurate data. By contrast, coders and heavy data users in quality, utilization, auditing, data analysis, and compliance need to have complete training on the classification systems and the guidelines associated with them. In an era when effective revenue cycle management can be the difference between flourishing or merely staying afloat, hospitals and healthcare networks need to ensure all training is completed and systems are in place by the October 1, 2013, cutoff. Zeisset suggests that larger organizations currently understand this better than some of their smaller counterparts. “The larger facilities are much further along. They know their viability is based on being prepared,” she notes. 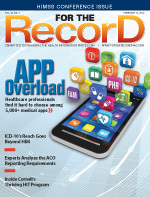 The HITECH Act, meaningful use, EHR adoption. The list of important initiatives competing for the attention and resources of healthcare organizations is quite lengthy. Amid all this noise and distraction, the ICD-10 deadline needs to take center stage, Wollman notes. Costs for ICD-10 preparations range greatly by facility. Wollman notes that he has clients estimating a $5 million price tag, while one large 40-plus-facility healthcare system expects to spend upward of $130 million. “In this case, the board wouldn’t pony up the full amount, so they had to prioritize, coming up with alternatives to full remediation,” he says. When speaking with hospital leaders last year, Melanie Endicott, MBA/HCM, RHIA, CCS, CCS-P, manager of professional practice resources with AHIMA, was surprised to discover how many chief financial officers did not realize the full operational impact of ICD-10. However, flipping the calendar to 2012 has been a wake-up call for some. “As we get closer, they are becoming more aware,” she says. Payers seem to understand the urgency better than hospitals, with some industry professionals suggesting that segment to be three to six months ahead in their preparations. “Many payers are concerned that hospitals won’t be ready,” Zeisset says, adding that at this point on the readiness curve, healthcare organizations should be into the “doing” part of their strategy rather than still brainstorming. What hospitals should not do is panic, she adds. “Many of these potential problems—in fact, all of the potential problems—can really be mitigated through proper planning and preparations,” Zeisset explains. While most view HIM as the department that will feel the greatest impact from ICD-10, Wollman suggests revenue cycle will endure just as much pain. The industry will be gearing up over the next year and a half to minimize the potential for ICD-10 fallout, but experts emphasize that organizations need to be prepared for increased claims rejections and denials, delays in processing, and lower productivity. Wollman points out there are statistics suggesting a 10% to 15% drop in revenue cycle productivity, but those numbers are based on levels measured in Canada one year after the country implemented ICD-10. For at least the first couple months, he believes productivity could drop by as much as 60%. Even with the best preparations, hospitals can expect some decreased coding accuracy, which will impact data quality. The length of this transition period and the impact on data quality will be less for ICD-10-CM than for ICD-10-PCS due to its similarities to ICD-9-CM, according to Zeisset. Operational impact is expected across an entire organization, but key departments other than HIM that will be impacted the most include IT, financial, clinical, risk management, utilization, and those using ICD-9 for analysis and reporting. In IT, Endicott notes that databases will have to be restructured to accommodate the change from a five-digit number to the new seven-character code under ICD-10. “All of the fields will have to work,” she points out. Forms management will be crucial in the transition process. Endicott notes that all forms—whether paper or electronic—that use ICD-9 codes will have to be modified. Healthcare organizations will also have to determine a method for trending 30 years worth of ICD-9 data with new ICD-10 information. An obvious reaction to the transition has been an emphasis on the need to review documentation practices within clinical departments. All roads lead to greater specificity under ICD-10, and documentation will need to speak to these changes for hospitals to obtain accurate reimbursement. A complementary approach encompassing system evaluation, training, and technology will form the foundation for success going forward, according to ICD-10 experts. Wollman suggests having a plan that can best be described as being cross-department, cross-process, cross-stakeholder, and cross-facility. “It needs to be comprehensive, achievable, and properly financed,” he says. Endicott agrees, pointing out that a lot of organizations have put together an ICD team featuring multiple disciplines and departments. “It’s important to begin prioritizing training now,” she says. Perhaps the most effective organizational training strategy is one that’s role based with considerations for the right level of enablement and the right time frame—not too soon and not too late. “Part of what we do with our clients is try and figure out the optimal training needed per department and per role,” Wollman notes. • the impact on legacy data. Physicians and clinical staff will need to be educated on how ICD-10 will affect documentation practices. “They don’t need to know how to code per se, but they need to know some of the changes and codes available,” Zeisset says. For example, the classification for asthma has changed from extrinsic, intrinsic to intermittent and persistent. Understanding the unique nuances by physician specialty by focusing training on the most common codes will produce optimum results, according to the experts. Built into the training should be some method of assessment to ensure competence. The testing and measurement for competence should become more detailed as the level of training increases. For example, even after implementation, coders will need retraining, according to Zeisset. “This should be based on the individual coder through appropriate audits to ensure understanding of guidelines and coding principles,” she says. Automation that addresses ICD-10 requirements can help with compliance and monitoring. Hospitals should first map out their IT infrastructure to identify which downstream systems could potentially be impacted by the transition to ICD-10. These will typically include registration, billing, documentation, coding/HIM, computerized physician order entry, and EMR systems, most of which will require software modifications to accommodate format changes, more specific content, and new diagnostic codes. Numerous free resources are available to help healthcare organizations make the transition to ICD-10. For example, implementation strategies can be found at www.ahima.org/ICD10. Even though payers appear to be ahead in the transition curve, ICD-10 experts suggest that healthcare organizations communicate with all payers and vendors to identify their plans, processes, and timelines. Two organizations have information on how to discuss ICD-10 with vendors, and some of that content could be applied to payers as well, according to Ann Zeisset, RHIT, CCS, CCS-P, an ICD-10-CM/PCS consultant and trainer. The AHIMA website offers a vendor questionnaire, while the Centers for Medicare & Medicaid Services features tips on talking to vendors about ICD-10 and HIPAA 5010 at www.cms.gov/ICD10 (under the Provider Resources section).